Who doesn’t love a really epic crossover? 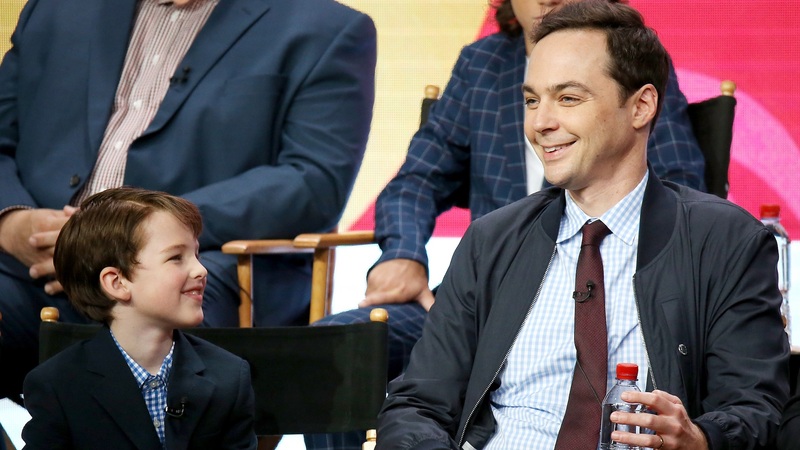 Fans of The Big Bang Theory and Young Sheldon are in for an extra-special treat on that front — apparently, Iain Armitage, who plays little Sheldon on the latter, will make an appearance on TBBT before the show leaves the air after its current season. According to the Hollywood Reporter, a December episode of TBBT will briefly feature Armitage as well as his costars Lance Barber (who plays George Cooper Sr.) and Montana Jordan (who plays George Cooper Jr.). The question is how? THR reports the details are being kept totally under wraps by CBS and producer Warner Bros. TV, but since there is a 30-year time difference between the two shows, it’s likely there’s a dream sequence, flashback or wormhole that will explain things. Even knowing the likely explanations for how these cameos will take place, the prospect of this particular crossover is really interesting. In TBBT canon, Sheldon’s dad, George Sr., has been dead since before the pilot episode, and while his older brother Georgie has appeared several times as an adult (played by Jerry O’Connell), it’ll be interesting to see Sheldon remember or interact with a younger version of him. However, there’s likely also an unintended extra layer to this crossover that would make for an even more interesting plot. Some fans took to Twitter to point out a potential flaw in the idea, which could have devastating consequences for the space-time continuum: Before playing young Sheldon’s dad, Barber actually appeared in an episode of TBBT as Leonard’s (Johnny Galecki) high school bully. While it’s not uncommon to see actors play multiple characters in the same universe, especially if they’re cast for a guest role and later cast for a recurring character (like Karen Gillan in Doctor Who, for instance), it is interesting to see that play out in TBBT canon. We’re pretty sure the writers won’t break the universe to explain Barber’s double casting and will probably just ignore it, but it makes us think. What will be the effects of Sheldon experiencing a younger version of himself and his family members? Further details about the upcoming episode have yet to be revealed, but hopefully the episode title and promos will answer some of our questions ahead of the actual airdate. Otherwise, we’ll just have to wait and see what happens.